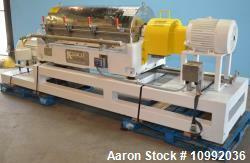 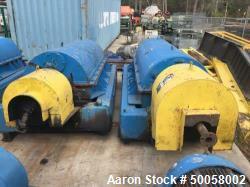 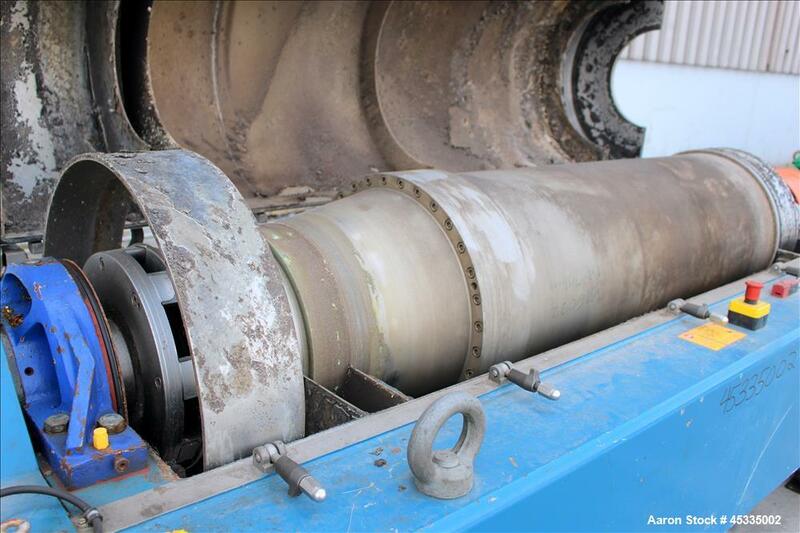 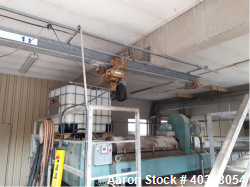 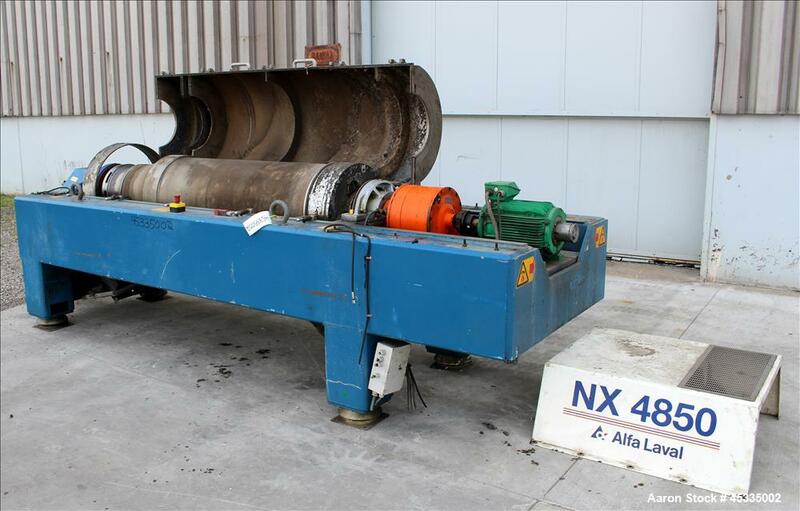 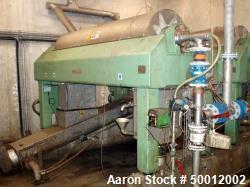 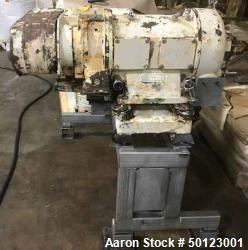 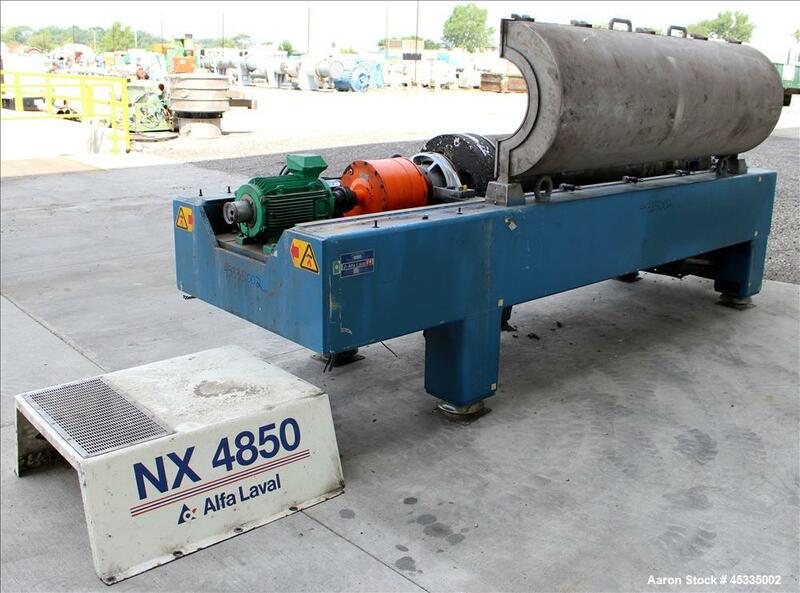 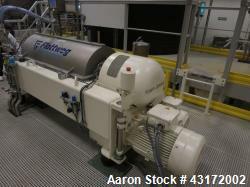 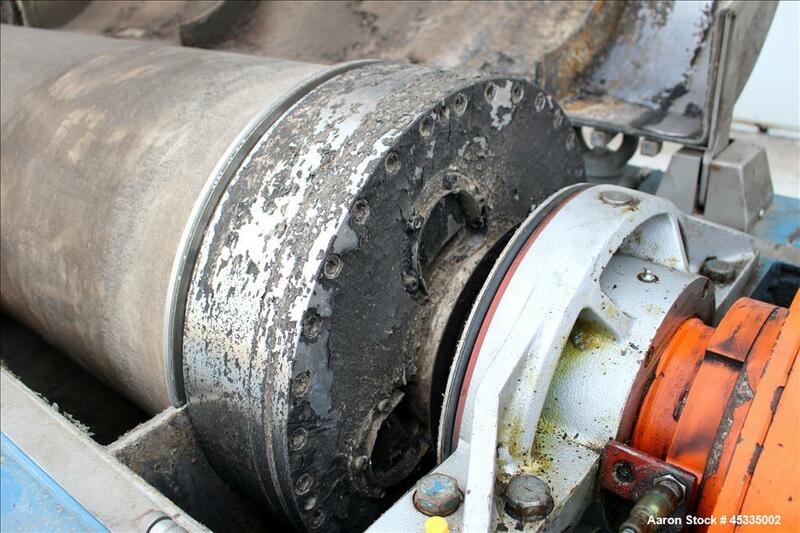 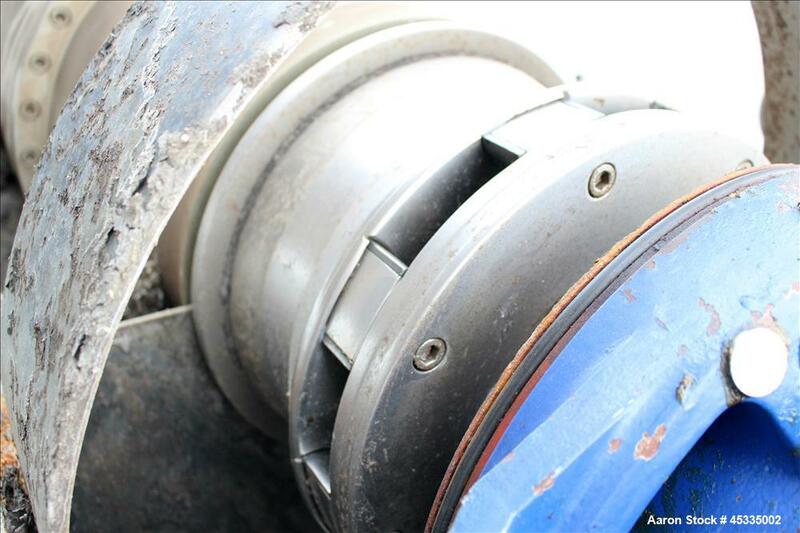 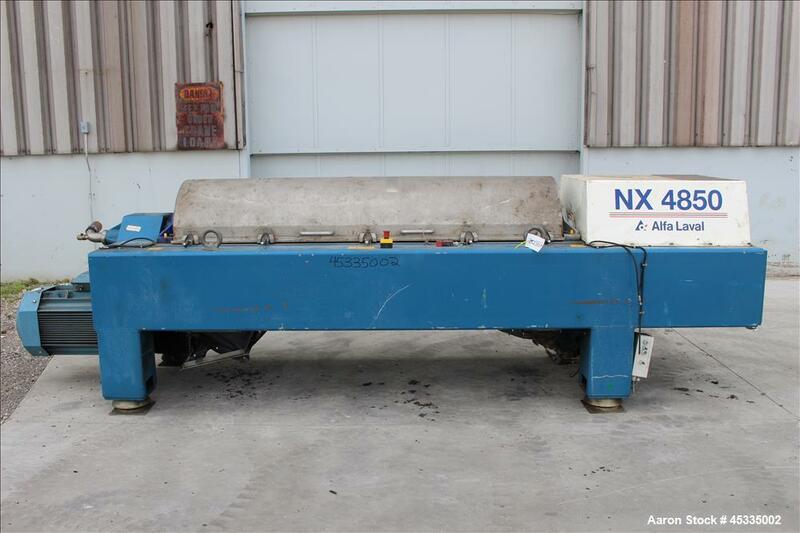 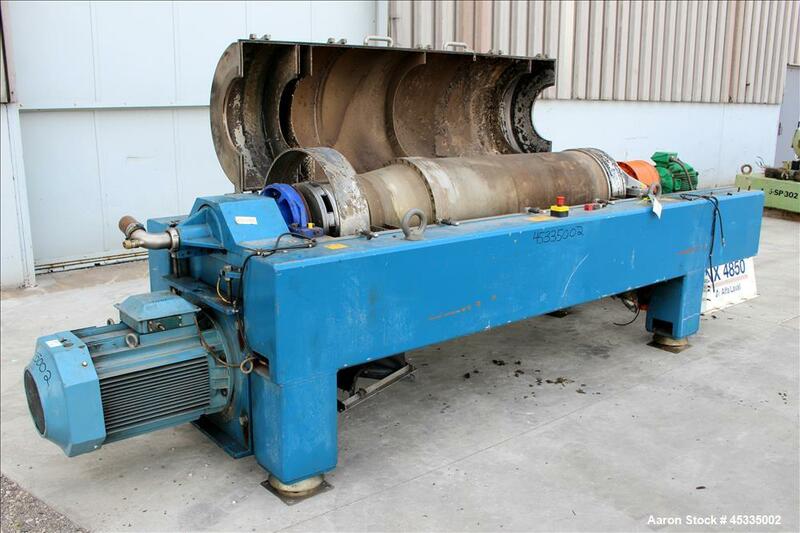 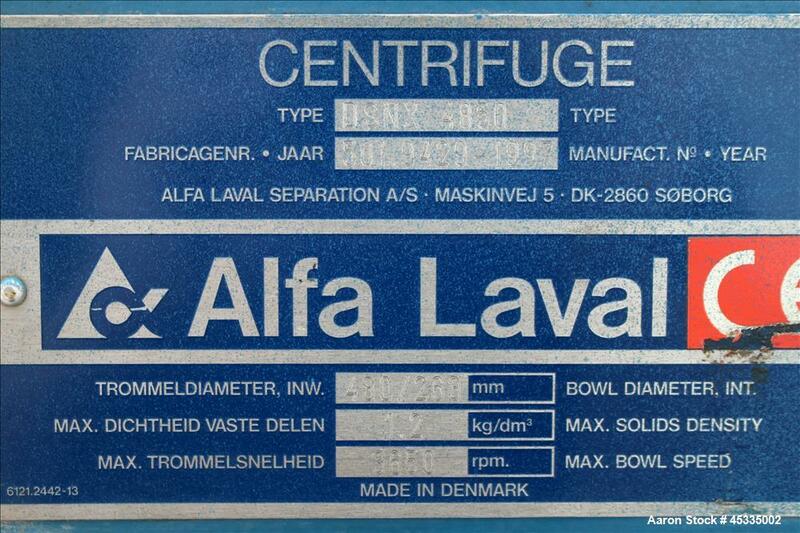 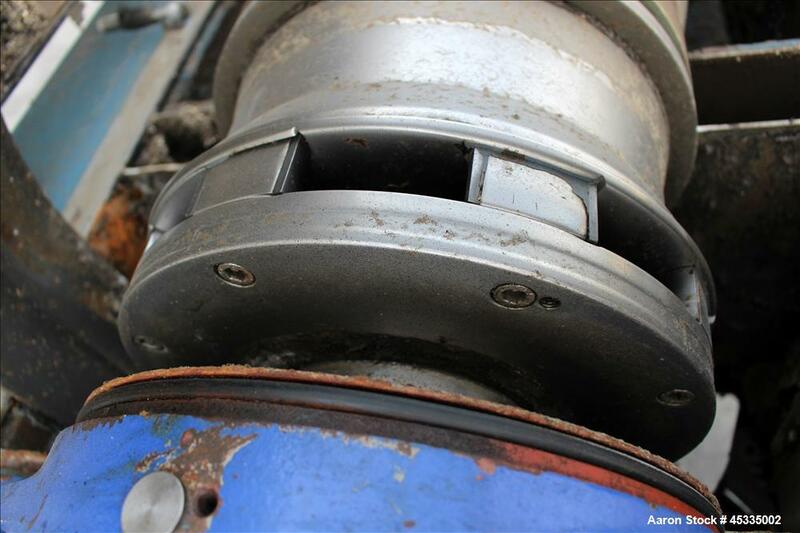 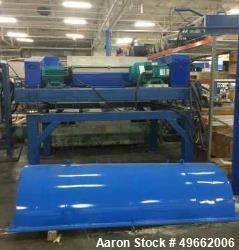 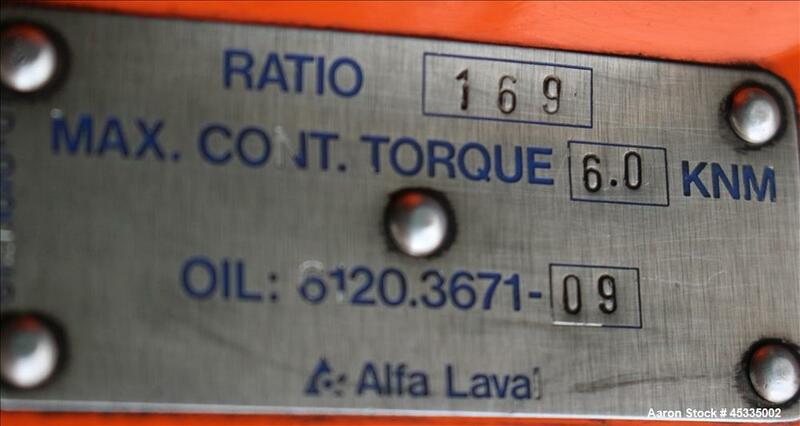 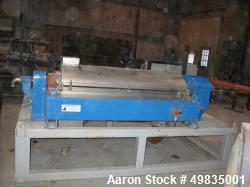 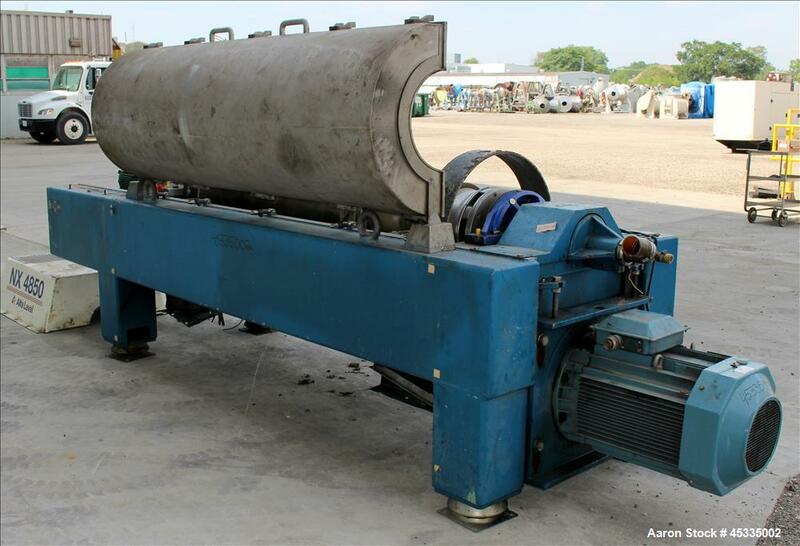 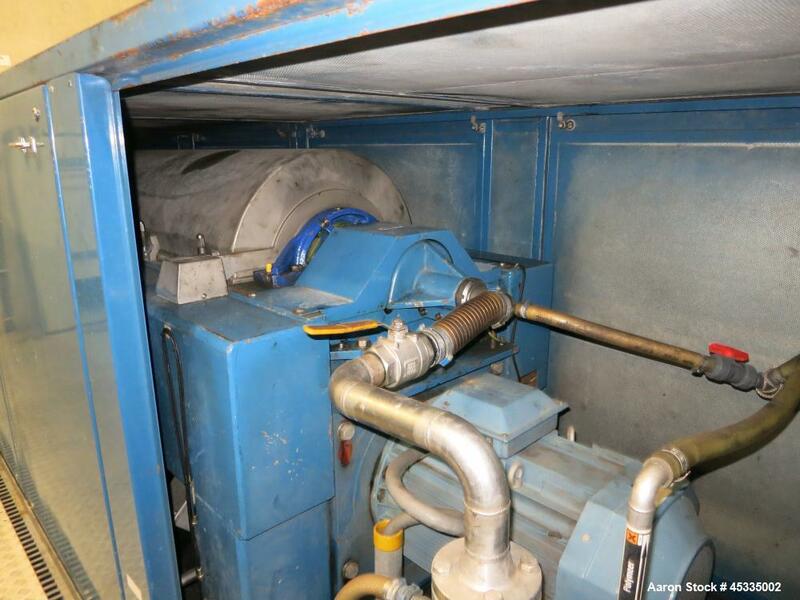 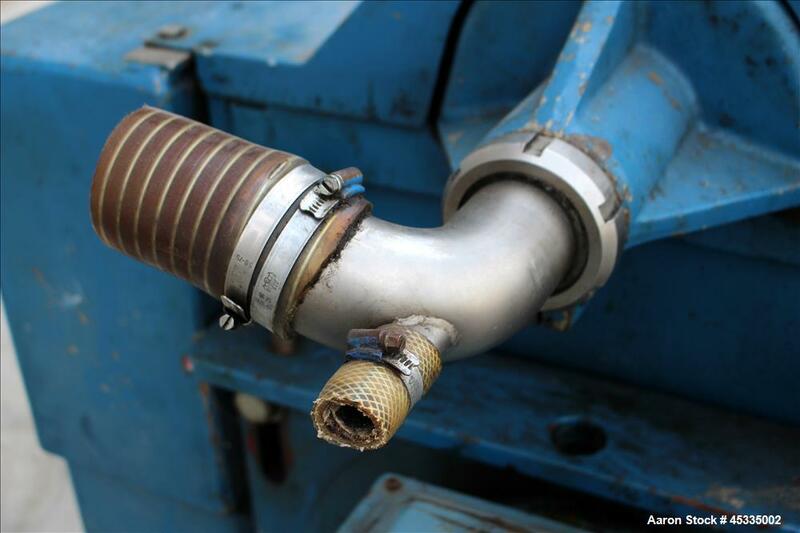 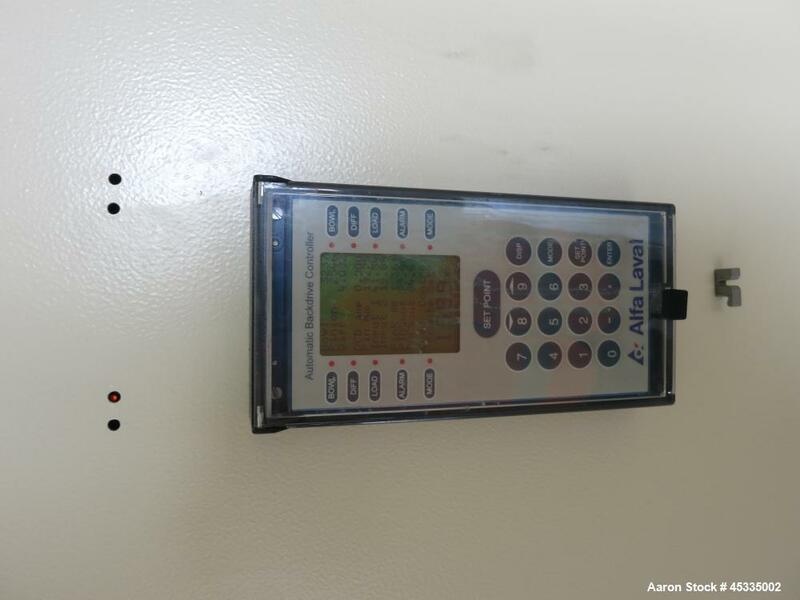 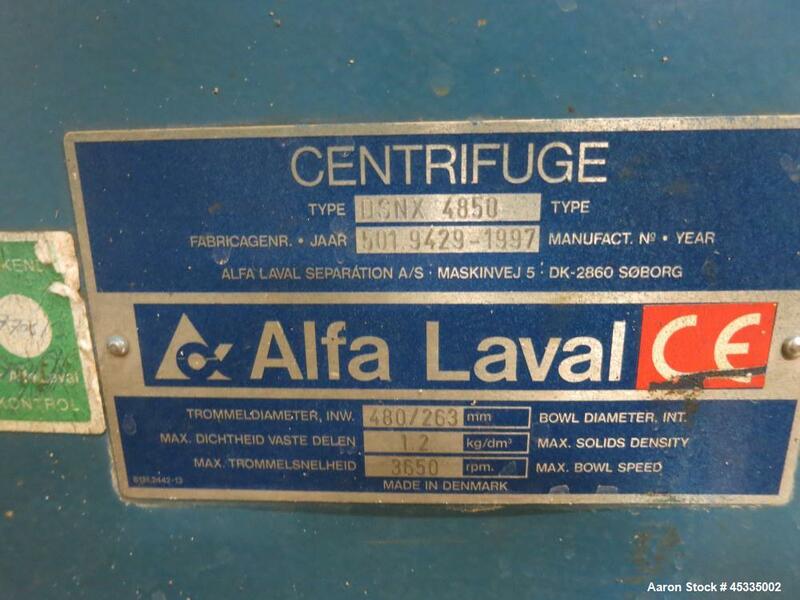 Used- Alfa Laval DSNX-4850 Solid Bowl Decanter Centrifuge, 316 stainless steel (product contact areas). 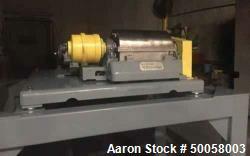 max bowl speed 3650 rpm. 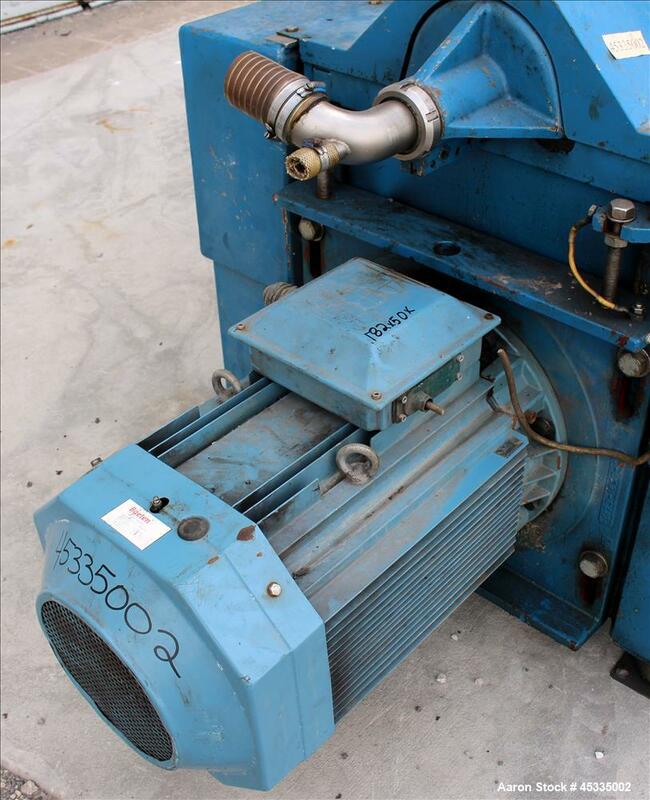 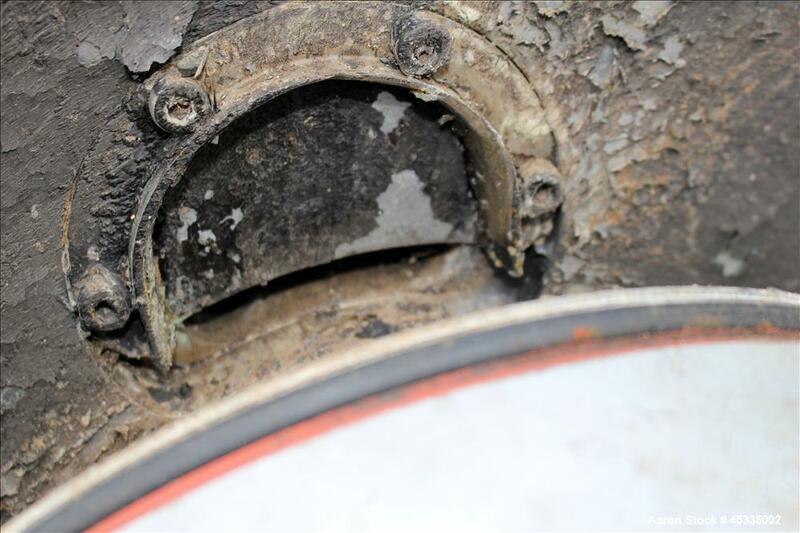 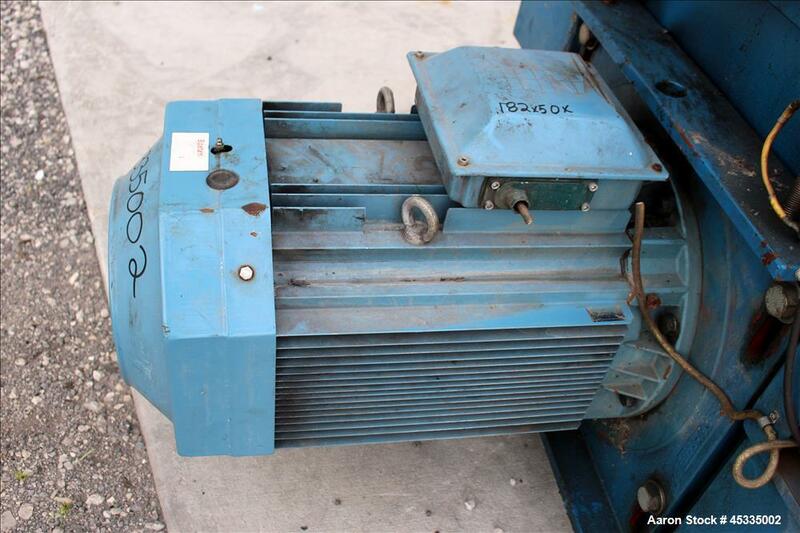 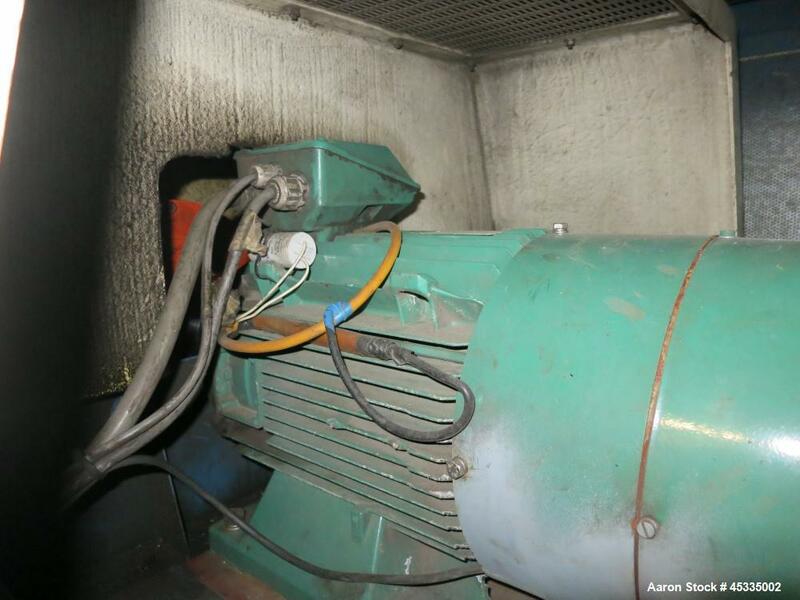 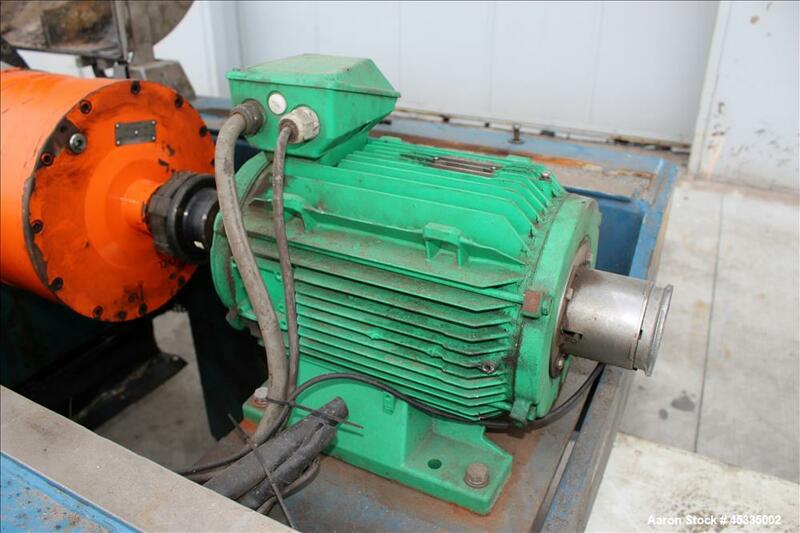 2 phase separation (solids/liquids), 9.25" single lead conveyor with welded hardfacing, 360 degree cake solids discharge ports with replaceable sintered tungsten carbide wear inserts, base and casing, gearbox with 169:1 ratio, feed pipe with poly addition port, 55 kw, 38/3/50,460/3/60 main drive motor, 15 kw, 380/3/50, 460/3/60 back drive.